Hanoi (VNA) – National Assembly (NA) Chairwoman Nguyen Thi Kim Ngan’s visit to France, made at the invitation of President of the National Assembly of France Richard Ferrand, is the first official one by a NA leader of Vietnam after 11 years, aiming to accelerate the Vietnam-France strategic partnership. Vietnam and France set up diplomatic relations in April, 1973. The two sides signed a Joint Statement on establishing strategic partnership in 2013 during the visit of then Prime Minister Nguyen Tan Dung. 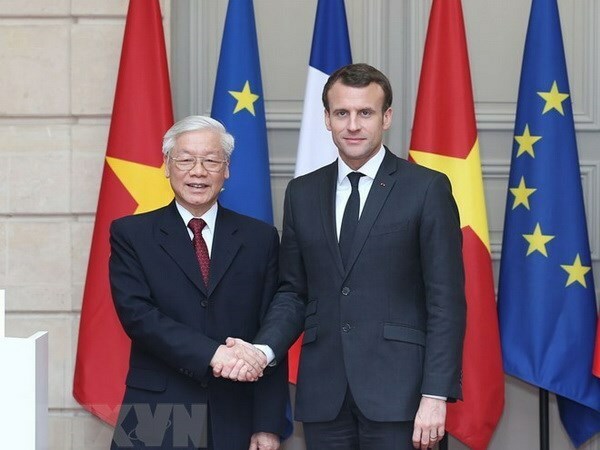 The sound political relations between the two countries have been marked by high-level meetings, including the 2016 visit of French President Francois Hollande, and the 2018 visit of Party General Secretary Nguyen Phu Trong.